English: There certainly is no special need any more to mention the fact that today most jazz piano trios are deeply attached to musical interplay (even though this fact is worth to never be taken for granted!). 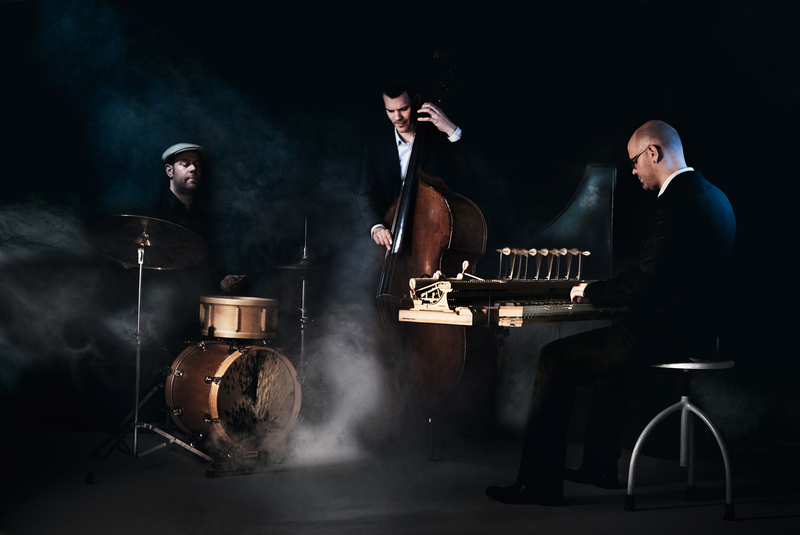 That's exactly where pianist Michael Arbenz, drummer Florian Arbenz and bassist Thomas Lähns come up with their own idea of musical interplay. In fact, what they aim to achieve with their music - their understanding of music - is nothing less than the greatest possible balance of their three voices - starting with the way they work out their own compositions and arrangements, and going right through to the soloistic parts, fully assigned to all three of them. Nice Work, get it! Sensationell kreatives Klaviertrio! Selten habe ich in letzter Zeit Jazzmusiker der jüngeren Generation so leidenschaftlich und vorwärtspreschend spielen hören!... höchste Empfehlungsstufe! Unless you have another CD by Vein, I reckon you're unlikely to have anything else in your collection that's quite like this...It grooves, it's rubato, it's subtle, it's fun, it's ruminative, it’s exultant; above all, it's constantly surprising. It's a treat. Tradition is always in view and that's precisely why it is soothingly hypermodern and zeitgeisty. The improvisational finesse of all participants meets magnificently attuned interplay, snotty anarchy and high precision.